This is a Nathan N3 blown static. Only a handful of these are known to exist. 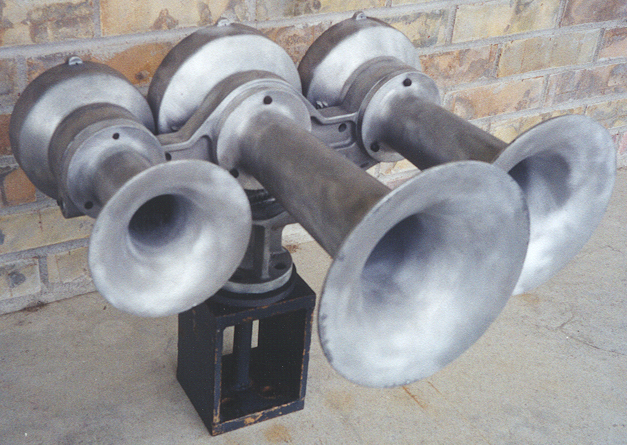 The N3 was the first three chime airhorn offered by AirChime and Nathan. Built only in 1949, it was essentially a three chime version of the H5. Only 20 N3's were produced; the following year, the design was revised and the popular M3 was born.